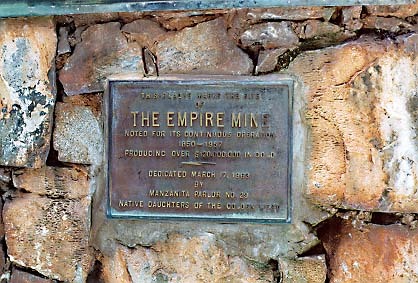 This plaque marks the site of the Empire Mine, noted for its continuous operation, 1850-1957, producing over $120,000,000 in gold. 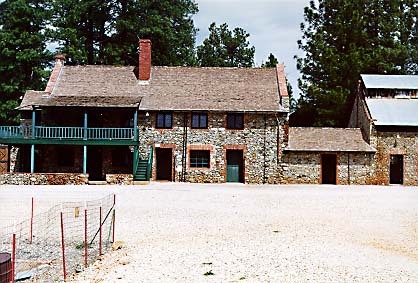 Empire Mine SHP, 10791 Empire St, 1.2 mi E of Grass Valley. 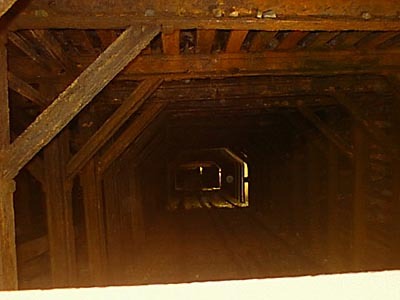 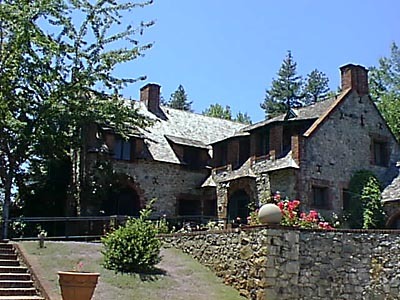 The owners of the Empire Mine used some of their earnings to build Filoli in San Mateo County.